*Although it’s only early November, I’m posting this to give ample time for library holds and purchases to be made. Dec. 1: CREATION: best all around is Creation. Dec. 2: ADAM & EVE: Paradise. Dec. 3: NOAH’S ARK: Noah’s Ark or Noah’s Ark. You can’t go wrong with either one. Dec. 4: THE TOWER OF BABEL: The Tower of Babel. Dec. 5: THE PROMISE TO ABRAHAM: Sarah Laughs. 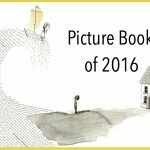 Dec. 6: ABRAHAM & ISAAC: nothing notable in the picture book world that I’ve found! But it’s an important piece of the story so stick with a traditional children’s Bible book to tell it. Dec. 7: JACOB & ESAU: Jacob and Esau. Dec. 8: JOSEPH’S COAT OF MANY COLORS: Joseph (first half) or The Coat of Many Colors. Dec. 9: JOSEPH AS PHAROAH: Joseph (second half) or Benjamin and the Silver Goblet. Dec. 13: RUTH: The Story Of Ruth. Dec. 14: SAMUEL’S CALL: The Story of the Call of Samuel. Dec. 15: THE WISDOM OF SOLOMON: The Wisest Man in the World or from the compilation: Kings and Queens of the Bible. Dec. 16: DAVID & GOLIATH: David and Goliath. Dec. 17: THE PROPHET ELIJAH: Elijah and the Fire from Heaven (1st choice) or Elijah and King Ahab (2nd choice). Dec. 18: QUEEN ESTHER: Queen Esther Saves Her People (1st choice) or The Story of Esther: A Purim Tale. Dec. 19: JONAH: Jonah and the Whale. Dec. 20: KING BELSHAZZAR AND THE WRITING ON THE WALL: from Kings and Queens of the Bible. Dec. 21: DANIEL IN THE LION’S DEN: Daniel and the Lord of Lions. Dec. 22: JOHN THE BAPTIST: nothing notable in the picture book world that I’ve found! But it’s an important piece of the story so stick with a traditional children’s Bible book to tell it. Dec. 23: THE ANNUNCIATION/VISITATION: from Mary or Mary: The Mother of Jesus or The Life of Mary. All are good. Dec. 24: THE NATIVITY: many good choices here. Choose your favorite. I like The Nativity: Six Glorious Pop-Up Scenes and The Story of Christmas best. This entry was posted in Picture Books and tagged Advent, Bible stories, Christmas, living books, must-haves, must-reads, resources on by . I was just working on this over the weekend! Over the past year, I used your first post to add books to fill in the gaps so we would be ready to go with this. I am excited! I ordered just a few to give us a complete Jesse Tree year in picture books. 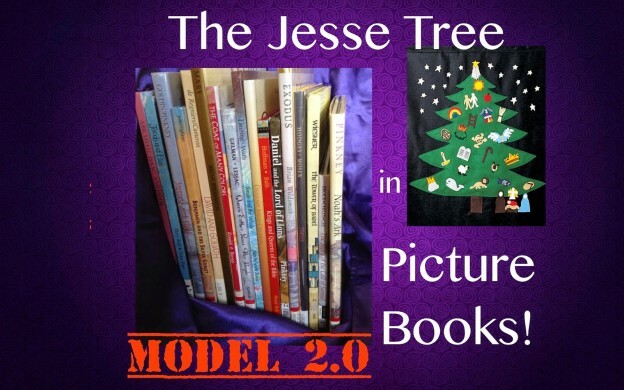 Through this, I have learned that not every Jesse Tree contains the same stories – mine is a bit different than yours. But a huge THANK YOU for this post and for the inspiration! Blessings on your Advent and Christmas! This is really awesome! I'll have to dig out my Jesse Tree ornaments and see how many match up to your book choices! Thank you! These are great, thanks for sharing!! What do you think of the Lion story books? and have you seen the My Bible Story set (red publ by the SDA's)? Erin, can you be more specific on both these questions? I'm not sure I know which ones you are talking about… thanks! have you seen any of these before? I have both sets and particularly love the bible friends (from my own childhood) the lion ones have longer text. No, I haven't! I am always usually unimpressed at Bible story sets because they were written as a set. (I realize it's an unfair stereotype.) Whereas, individual picture book stories seem to focus on the elements that make it a good picture book– great pictures, great text. It seems like so many of the Bible story sets I've seen are just trying to plow through the message with some fairly unthoughtful, standard illustrations. I do admit to the Bible Friends set looking slightly more appealing than the Lion ones… I may look into buying a few of the harder to locate stories from that at your recommendation! I especially am hungry for a great John the Baptist's birth story!!! Mmm the bible friends are definitely stand alones, in fact for years I only thought there were 5 in the set, recently found the next 5! Lion ones are detailed, a bit too much for the younger set, pictures are so so. John the Baptist birth story, well have 'Jesus and John the Baptist – Catherine Storr about 4 pages devoted to John's birth, okay but not thrilling.